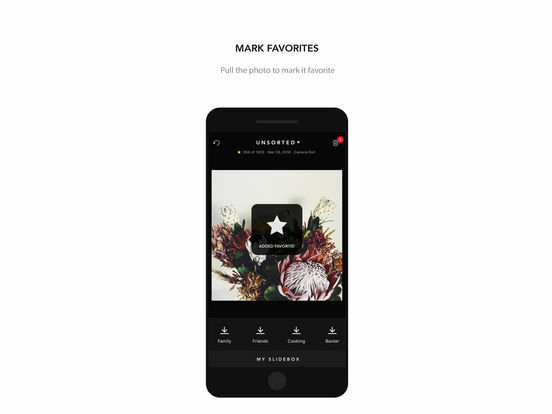 If you are the kind of person who likes to take a lot of photos, and has hundreds or even thousands of images on your iOS device, then you will definitely want to consider using one of the apps in today's list. Below are some of the best photo organization apps for iPhone and iPad, offering all kinds of great features to make it easier than ever before to keep your pictures neat and tidy. 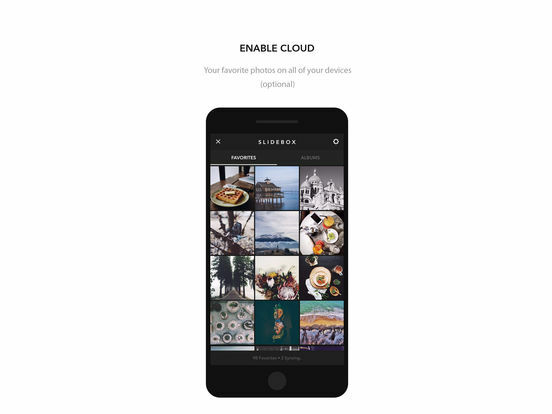 Slidebox is an app that helps you to organize your photos in an efficient manner. Quickly delete photos that you don’t want with just one swipe. 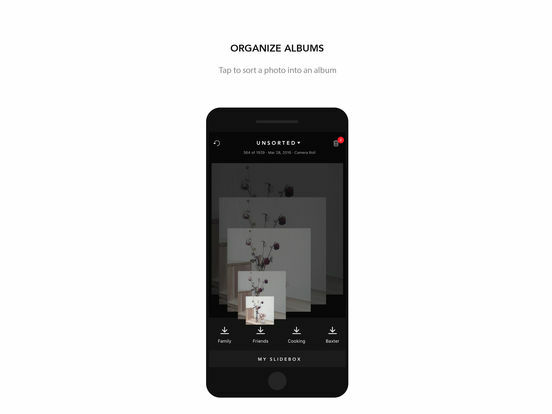 In one tap you can organize your photos. Entire albums can be sent via email. No account set-up or in-app purchases are required to use all of the features in this app. 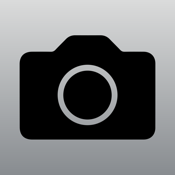 iCloud supported, photo comparison and easily save a photo to your iDevice’s camera roll. It doesn’t get any simpler than this app. 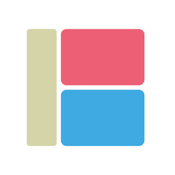 This app has been featured on a few major media outlets and praised by users. If you are looking to create photo books of your photos then look no further. We have the app for you. 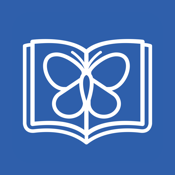 Make your book in minutes and have it delivered to your door in 4 days. Choose 20 pics, upload quickly, preview your photobook and you are done. 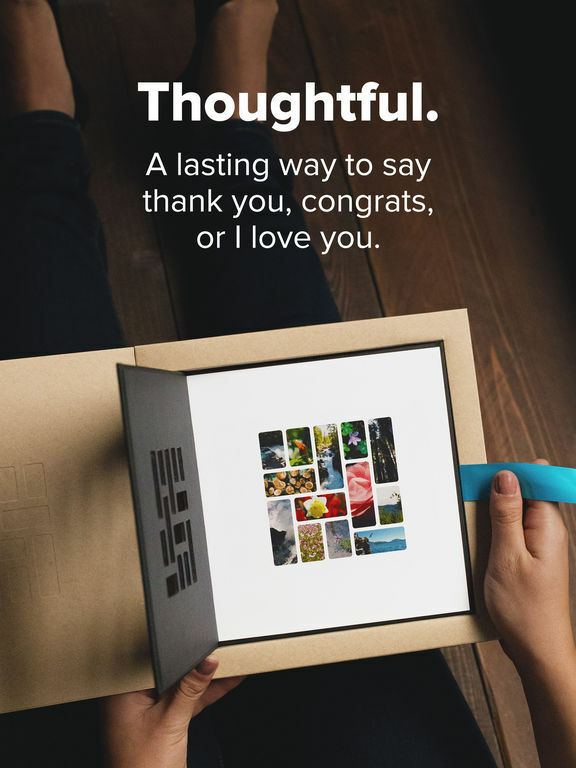 For one flat fee, you get a beautiful looking 7x7 inch Mosaic photobook that preserves your photos and makes it easier for you to show others. Additionally, these photobooks make for wonderful gifts no matter the occasion. MIKU is an app that turns your flawed pictures into high quality, professional looking photos. 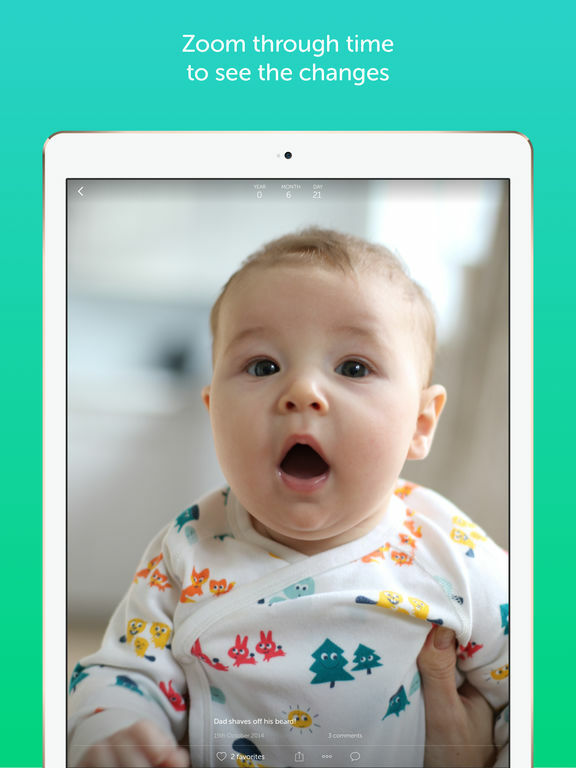 Choose which of your photos needed editing, upload them into this app, select the types of edits needed, and within 2 hours you will have your photos completed by highly trained professionals. This photo editing service is great for those of you looking to create flawless images for work, Social Media or for print. It’s a very quick and simple process that can be done any time of the day. With MIKU, you no longer have to painstakingly try to remove the blemishes and wrinkles, just connect with a professional and have them do it the right way. 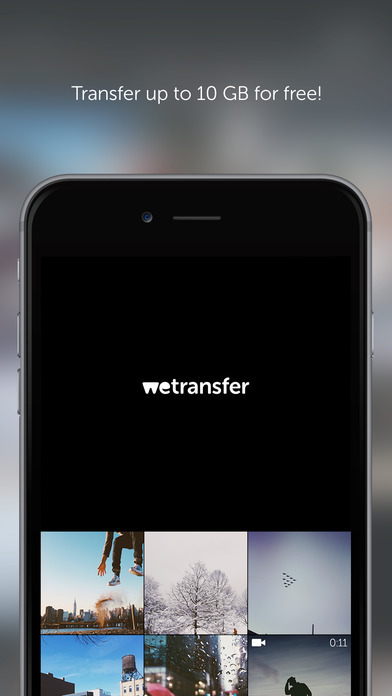 This is quite possibly the easiest way to send, share or receive group photos of you and your friends. A moment groups photos based on an event or friends in the photos. 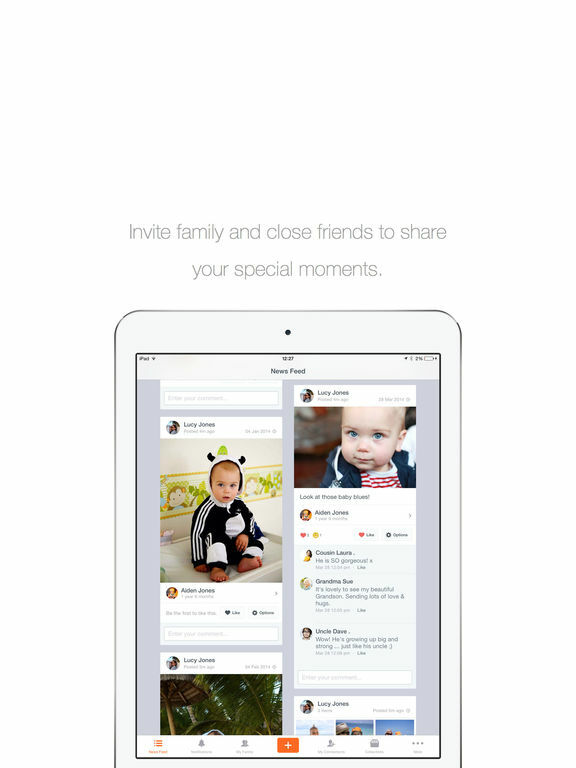 Then you can send the entire moment to whomever you want or grant access for others to add more photos to the moment. 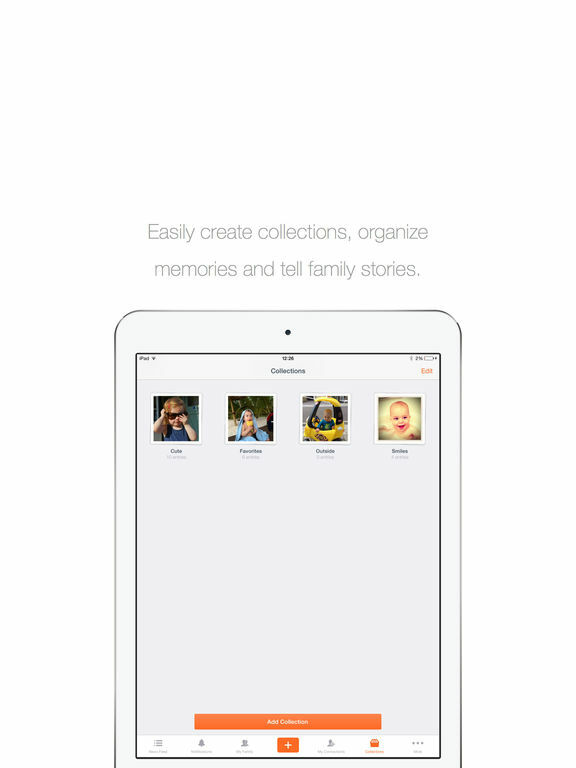 It’s easy to use, great for organizing photos however you want and a nice tool to search through your photos quickly. 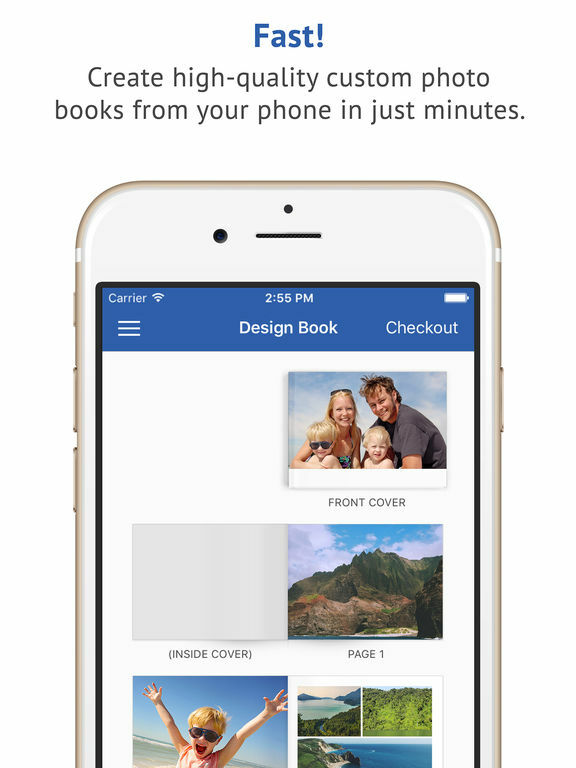 You can save the photos they add to the moment right to your own iDevice. Create a slideshow and share it on FaceBook too. 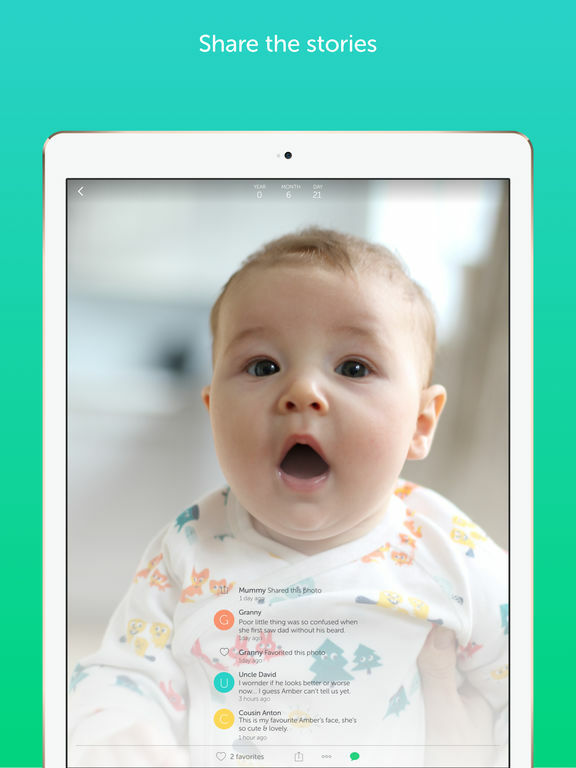 Lifecake is designed to help parents keep track of those special, random or planned moments in the lives of their children. 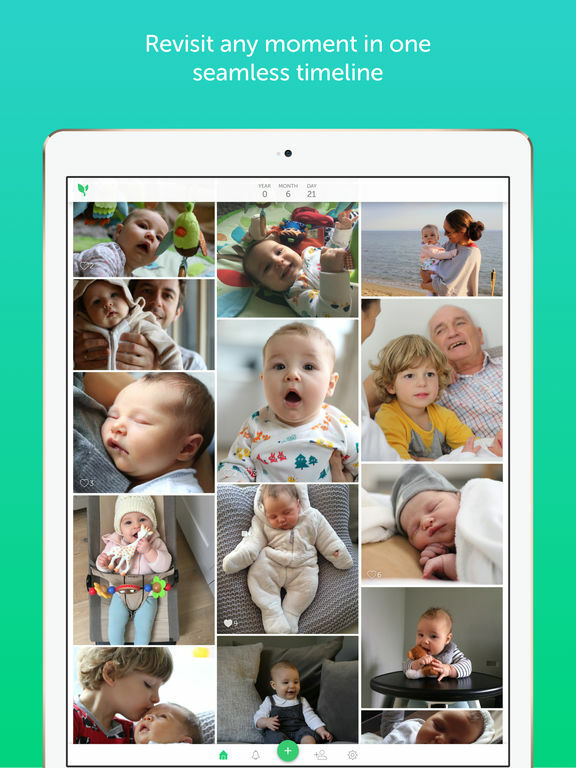 Enjoy photos across a timeline, combine photos, add photos from other sources, view a specific age along the timeline, compare their different life stages, find any moment of their life, share slideshows with others, family members get automatic updates and more. 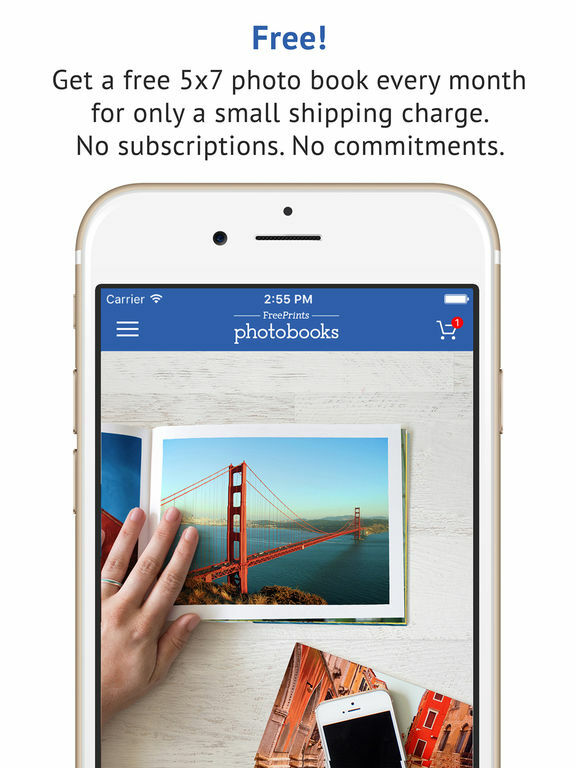 This app is the free version which has a maximum limit on photos and videos. 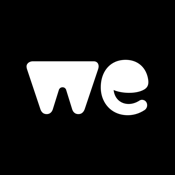 There’s a subscription service to get unlimited photos and videos. 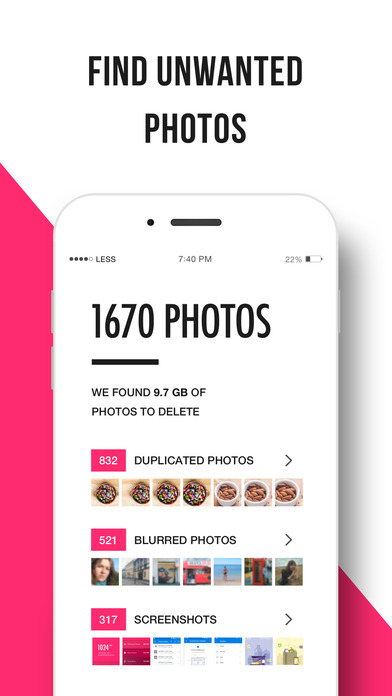 This app makes it easier to save space on your iDevice instead of bogging it down with thousands of photos. The interface is simple and elegant, which makes it easy and pleasant to use. Some of the features are very impressive like the auto-finding of duplicate photos, auto-detection of blurred or unfocused photos and the ease of which you can delete photos. 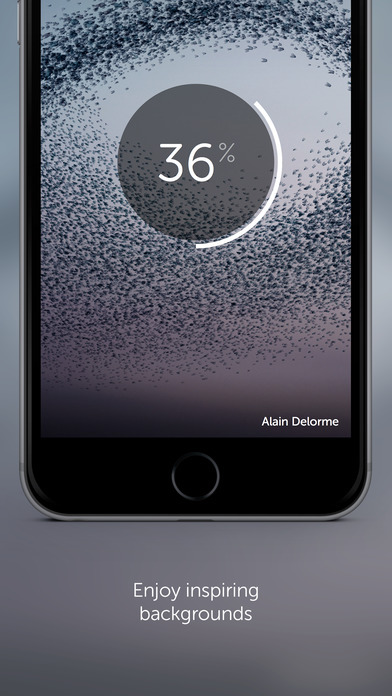 The app seemingly learns what you want or don’t want, and will help you to clean up your Camera Roll. There are quite a few photo storage apps available that offer a reasonable level of security, but what makes this app slightly different is that it also offers some fairly comprehensive functionality beyond basic security measures. You can actually customize the security options in this by creating a master lock or specifying a password for individual albums that you wish to keep private. Additionally you can share your photos online via social media sites, and even synchronize your files online with Dropbox. Take full control over your photos with the help of this app. 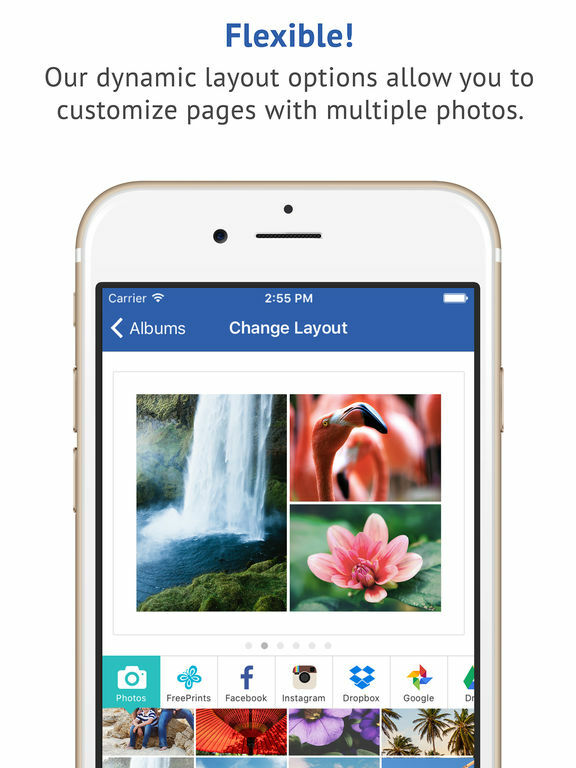 Create custom folders to organize your photos and implement an efficient organization flow to your iDevice. 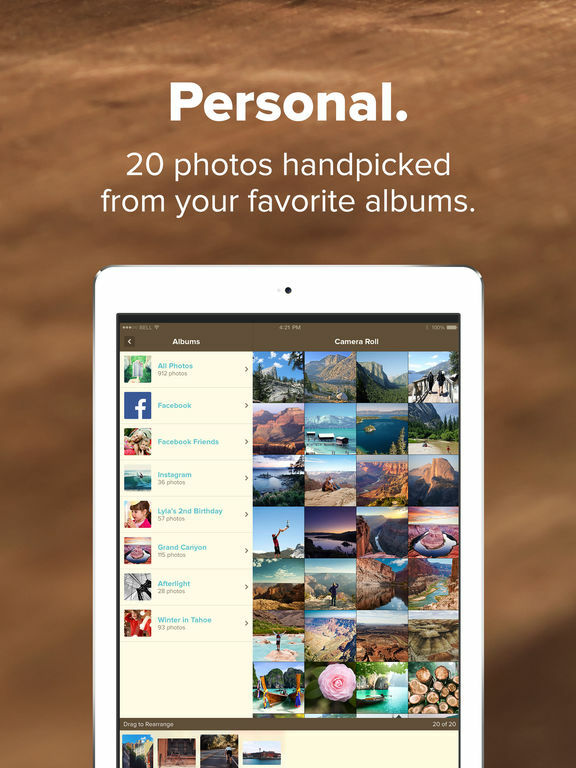 In fact, you can organize your photos before even taking a picture. 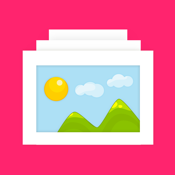 Quickly choose where the photo will go, create multiple categories in addition to the standard ones already created, and use this app even when you don’t have an Internet connection. 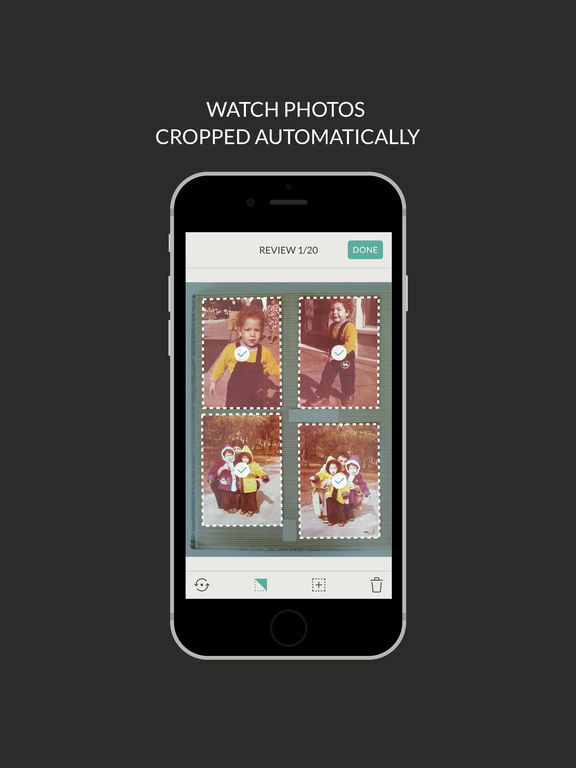 This app will prevent you from having duplicate photos, preserve your photos even after you delete the app and makes the entire experience a pleasant one. If you need to send large files, up to 10gb, to your friends or family then this is a great app for you. Just enter the email address of the recipient and easily transfer the files. 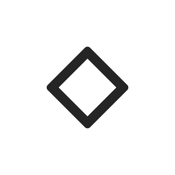 The app was designed to keep things simple and that’s always something we here at Apppicker enjoy. In addition to photos, you can also send video files that you have shot with your iDevice. With a variety of taps and swipes you can perform numerous functions. Additionally, you can also pause your transfer and resume at a more convenient time, like when you have a WiFi connection. 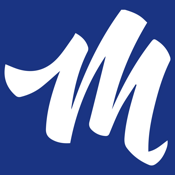 Millions of users have made this app their photo and video manager and editor. 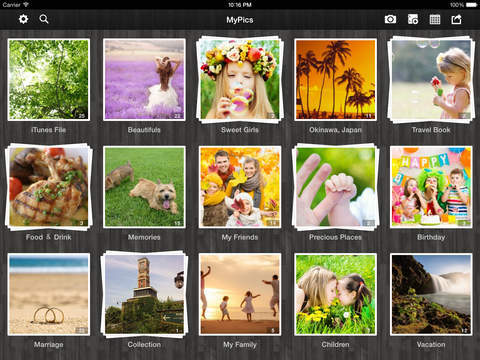 It’s easy to create and organize your photo and video albums so that you can better organize all of your media files. A calendar view is supported, original data won’t be modified, secure data and numerous other functions. 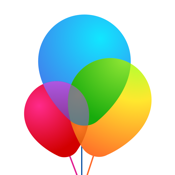 You can easily search through your files, add notes and tags, post to Social Media accounts, print via AirPrint, supports AirPlay, backup files via iTunes, edit all of your photos and more. 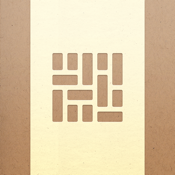 This app is a wonderful blend of organization and editing. There are in-app purchases to remove registration and for a filter pack. 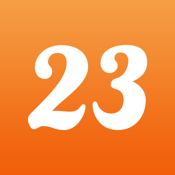 23snaps is an online journaling and photo sharing app. 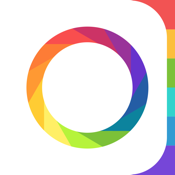 Snap photos, take videos, and record memories and share with your own private list of followers. 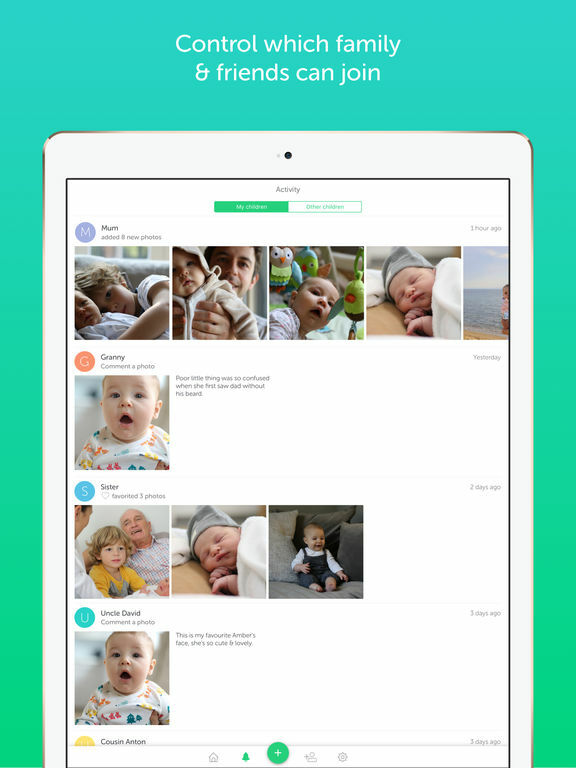 This app is perfect for new parents to share life with grandparents and friends. 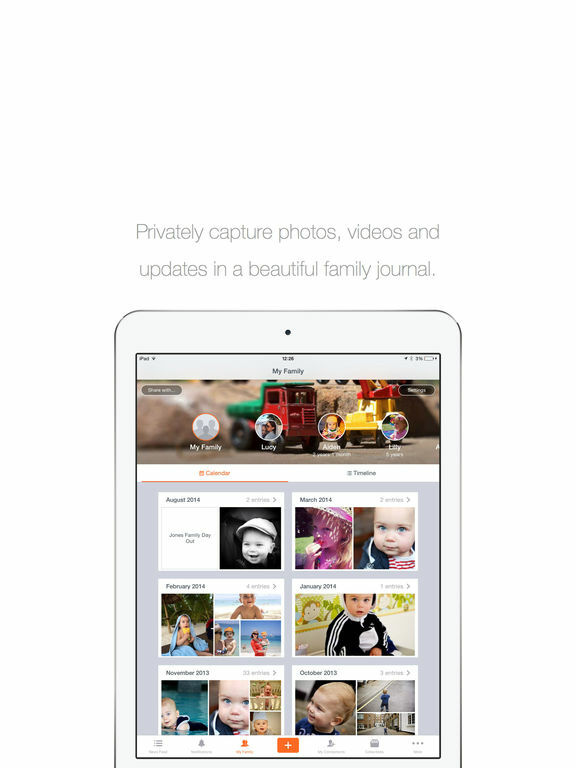 Because both parents can upload, over time the record becomes a beautiful journal of the key moments of your child’s life. Since features include strict limits on followers, this app is a terrific substitute for Facebook and Instagram. It is especially great for kids to use, for sharing with a safe group of trusted contacts. 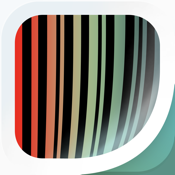 Photomyne allows you to scan photos and turn them into live digital records that you can then share. 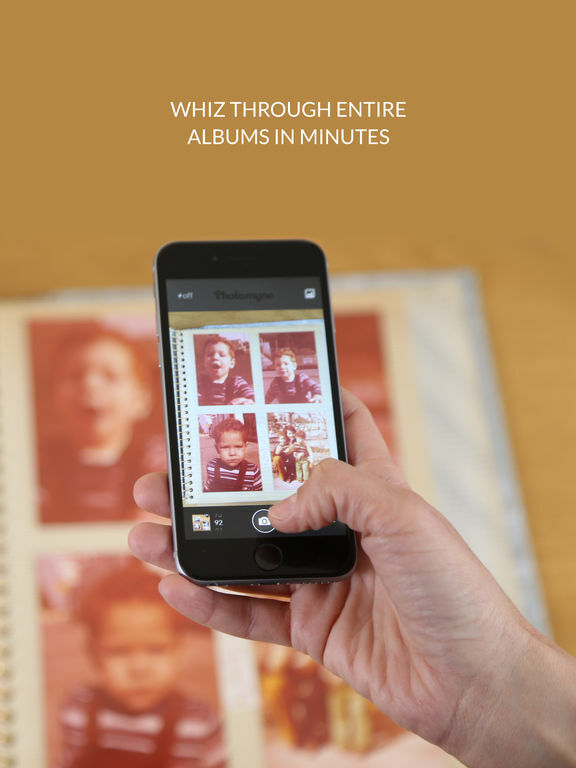 The app is easy to use and has an intuitive interface and you don’t even have to take photos out of an album to scan them! 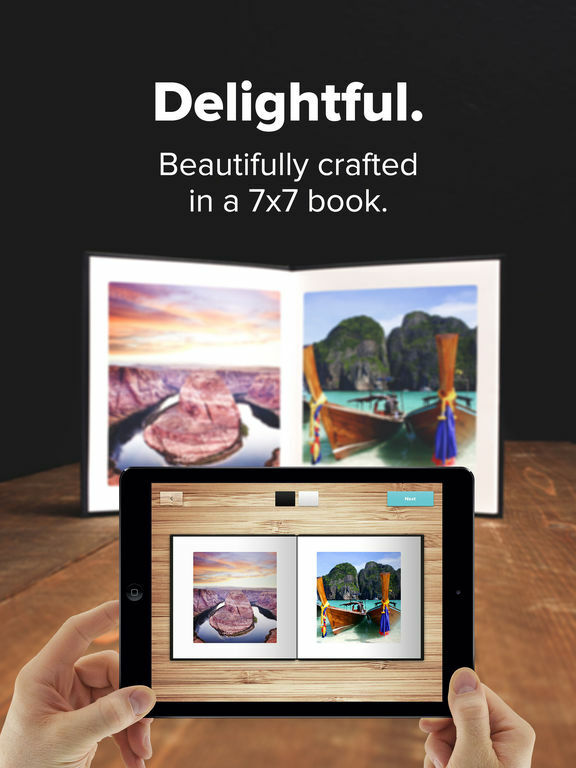 You can scan up to four paper photos in one shot, and the app can auto-crop and correct your scanned photos. Save the scanned photos to your camera roll, easily edit the digital photos, tag friends and family in the photos, and more. 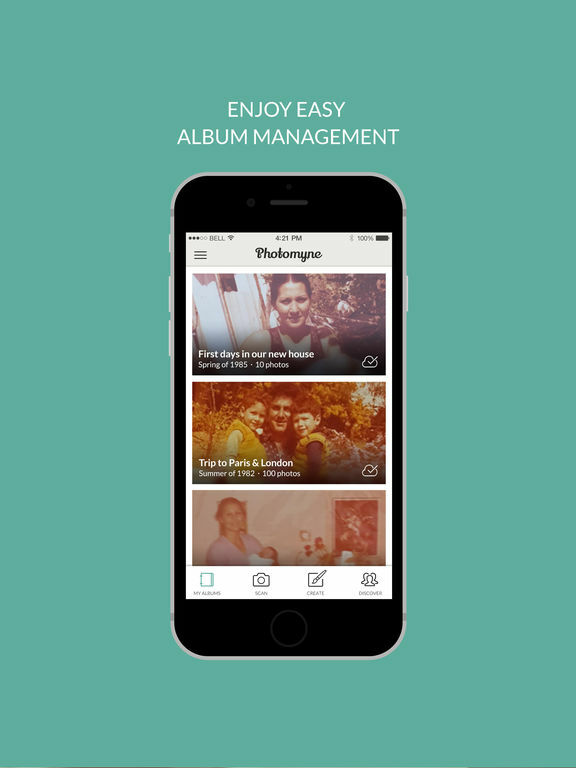 You can move photos among albums, set cover photos, and you can create an unlimited number of albums. 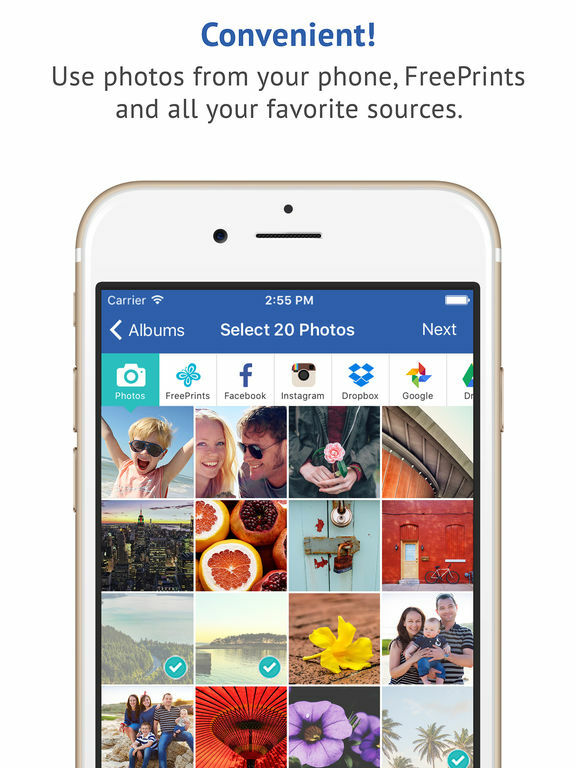 New users get free 30-day photo backup. 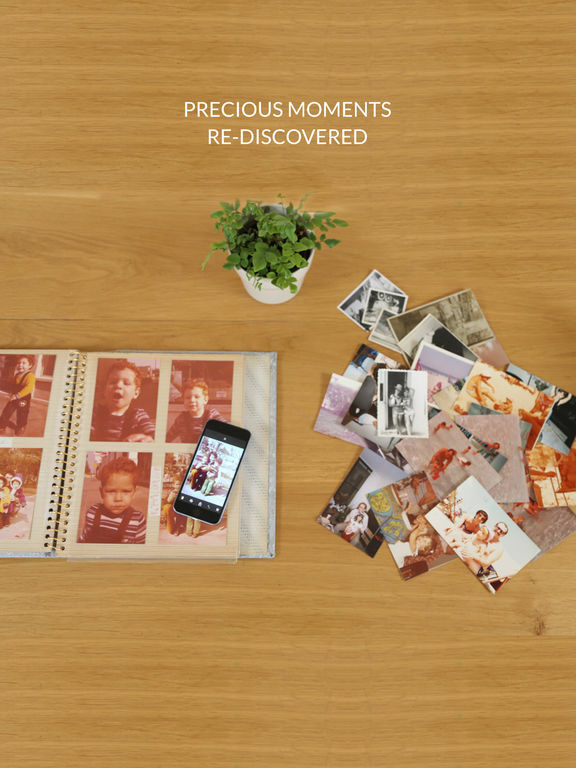 FreePrints Photobooks makes creating a photobook of your precious memories easy, convenient and fun. 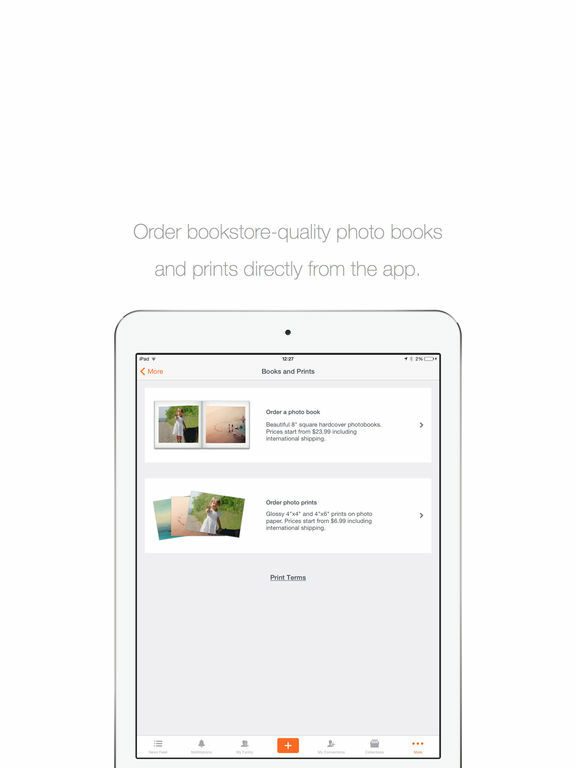 The app will also create these 5x7 softcover photobooks for FREE. All you have to do is pay the shipping and handling charge. Additionally, there are premium options to upgrade the free books by turning the soft cover into a hard cover, increasing the size or adding more pages to the free 20 page allotment. 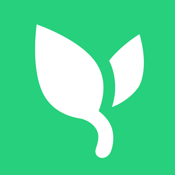 There are no subscriptions or hidden fees in this app. You can easily create your photobook, have it printed and shipped in an efficient time. 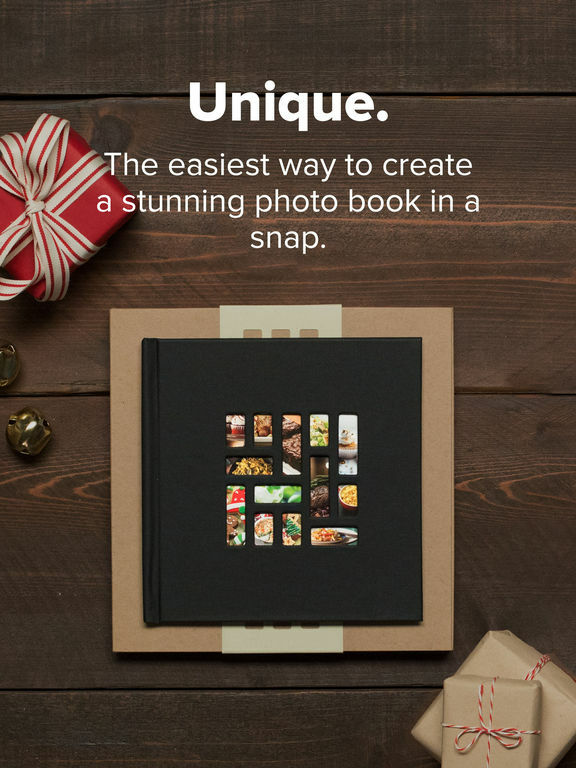 This app is truly a wonderful app and something that anyone considering a photobook should seriously download.